McDermott's i-Shaft and G-Core each have their own unique core construction to implement the triple-layer carbon fiber technology. The G-Core's carbon fiber starts at the tip and extends through the first 7 inches of the shaft. This gives it the accuracy and power benefits of a high-performance shaft, but with the familiar feel of a traditional all-maple shaft. Unlike the G-Core, the i-Shaft's carbon fiber starts at the ferrule and continues through the entire shaft, making it the most radial consistent shaft on the market. 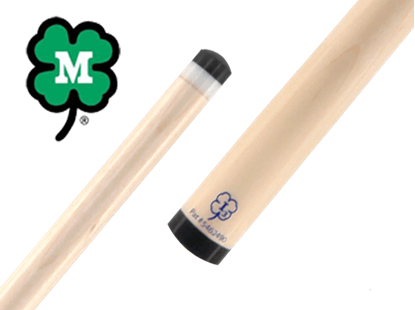 This minimizes the inconsistencies experienced with an all-maple shaft. The i-Shaft also uses McDermott's Tenon Tip Technology in which the ferrule has a tenon that fits inside of the carbon fiber core.